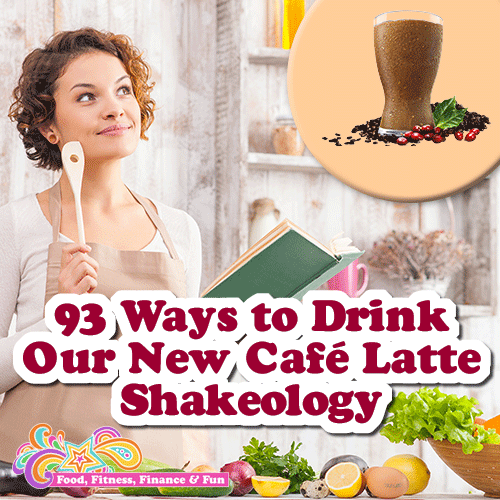 Last month I ran a “taste test” group for my clients to try out our new flavor of Shakeology, Café Latte. The new flavor is made with a whey protein, and since I am vegan, I didn’t want to try it, so I relied on my peeps to try it for me and report back on their findings. I had each member of the panel drink it every day for a month, post their recipes, and then let me know at the end how they liked the taste, etc. Since I am vegan and don’t like coffee, I wouldn’t drink Café Latte Shakeology. But if I did, I would probably mix it with vanilla almond milk. That’s what I mix my Vegan Chocolate Shakeology with almost every day for breakfast, and LOVE IT! So when I started seeing these people’s recipes, I was surprised to say the least. I could only imagine Café Latte to be mixed with flavors like chocolate, vanilla, caramel, and coffee. These people were mixing in all sorts of fruits and other crazy things…and they were raving about the resulting flavors. I didn’t want their creativity and experimentation to go to waste, so I decided to write a post containing some of the recipes that were shared in our group. There were several that ended up “not so good” after mixing them, so I obviously didn’t include those. Linda: 9. I like it much better than the chocolate flavors and as much as the vegan tropical strawberry, my other favorite. Cafe latte is much more of a drink or snack for me. I add very little to it. Whereas with the strawberry it’s a base for a meal smoothie with lots of fruit, yogurt, etc. Shane: 9. It’s my favorite flavor by far. Stacey: 9 or 10. I feel like I can live off of the vanilla, chocolate and greenberry, altering them with endless combinations of veggies, fruits, nuts, and grains. The coffee flavor is pretty prominent and stands well on its own. It has a smoother texture than their chocolate. As an athlete, I feel stronger, more flexible, and have better endurance when I am drinking Shakeology regularly. I hope this is helpful to you and hope you LOVE the new Café Latte Shakeology flavor as much as my test group did! I would love to hear any and ALL feedback so I can pass it on to others who have questions. 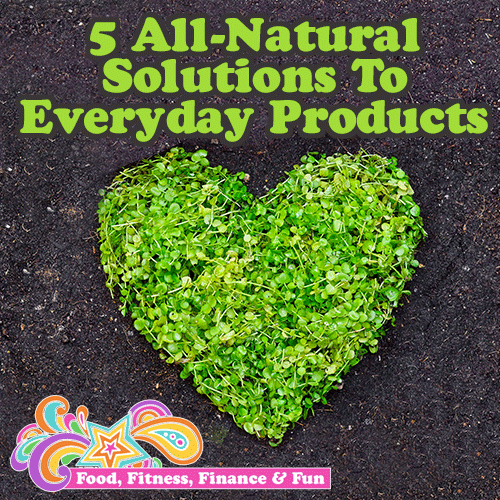 Over the past few years I have become increasingly aware of all the harsh chemicals we put in and on our bodies. I would love to say I am an “all-natural” girl and don’t put anything harmful on or in me, but that’s completely untrue. However, I am taking baby steps (as always) to start leading a life free from chemicals and artificial crap. Gatorade was pretty much my go-to sports drink for decades. The only thing I didn’t like about it was all the calories. I was so happy when they came out with the low-cal version G2. At the time Gatorade was made with corn syrup. They took the corn syrup out of most types of Gatorade, but most still contain dyes and artificial flavoring and coloring which can pretty much be anything!! For the past 2 years I switched to an all-natural sports drink that I love by R.W. Knudsen called Recharge (www.FoodFitnessFinanceFun.com/Recharge). It’s delicious and all-natural but expensive and hard to find. So a couple weeks ago I started experimenting with making my own. Here is my most recent favorite recipe: 1/2 c apple juice, 1 tbsp apple cider vinegar, a few drops of lemon essential oil, and a pinch of iodized salt. Mix with water to equal a quart. This has been the toughest one for me. I have struggled with acne AND dry, sensitive skin my entire life and have literally tried every single product (both OTC and prescription) out there short of Acutane. I have also made several DIY face cleansers with not much long-term success. Right now I am loving my newest concoction. I have only been using it for 3 weeks so it’s still under testing BUT so far so good! My skin is both soft and calm with very few new breakouts. Yay! Here is my recipe: enough baking soda and coconut oil to form a paste, add a few drops of lemon essential oil. 4. Face and Body Moisturizer. Simple. Coconut oil. When I first started using it on my face, my breakouts increased. So I stopped. But I liked the idea of it and wanted to keep trying. So every few months I would try it again. Breakouts. When I started with my new face wash, I found my face was moisturized enough that I only needed the coconut oil at night. And the combo of the two, fewer breakouts!! I saved this one until last because I didn’t want to scare you off before reading about my first 4 products. When I was in college, someone came out with a study about how deodorant causes cancer. So I started using the rock or crystal or salt rock or whatever it was. It didn’t really work and it hurt to apply it, so about 15 years ago, I just stopped using deodorant. Yes, you heard that correctly. I haven’t used deodorant in over 15 years! And no, I don’t stink! I do sweat a little (more when I work out of course), but for the most part my body has completely adapted to me not wearing it. I’m sure it helps that I eat pretty clean, but I’ve only been eating as well as I do for the past couple years, so I really do think that my body doesn’t need it because I don’t use it. I hope this gives you some ideas on how to start removing chemicals and artificial crap from your life. In my food and drinks, I avoid all artificial sweeteners, colors, and flavors. I only use soap with a couple of ingredients in it and only in bar form to avoid over use of plastics with liquid pumpy soaps. Even Joey, my fuzzy kid, eats all natural, raw, no grain dog food. He loves it and is full of life and energy just like me! I’m for sure a work in progress and there are many other products I can work on making more natural and healthy in my life. I can’t wait to discover new and exciting ways to make myself the best version of me possible!! My friend has been telling me I should write a cookbook of vegan recipes for a couple years now and I have resisted for many reasons, the main one being that I don’t like to cook. I see amazingly delicious recipes all the time for vegan dishes that I know I would love to eat, but wouldn’t enjoy preparing, so I never do. I share them with all my vegan and vegan-ish friends and followers on social media and in my 7 Day Vegan Challenge (www.facebook.com/groups/VeganWeek) and my Vegan Recipe Group (www.facebook.com/groups/7DayVeg). I want to give people the most delicious and exciting recipes I can find to give them a great plant-based experience. But the truth is, I won’t ever make most of these meals myself because it seems like a lot of time, energy, and effort I would rather put into another part of my life. Now if I had a personal chef, it would be an entirely different story!! I would have him make me these incredible and thoughtful dishes 24/7. But as it stands, it’s just me and it’s just not going to happen! Either way, my “recipes” are more in demand than I had thought, so I wanted to share a couple with you! 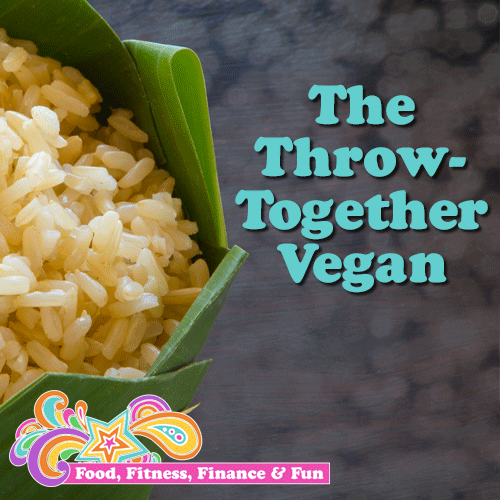 Each of these meals take about 5 mins to prep and my non-vegan, junk food hubby loves them both…bonus!!! I would estimate each meal costs me about $10 which may be too much for some people, but is on par with what I typically spend on meals I prep at home. Also neither require much clean-up, which is possibly the main reason I don’t like to cook/prep anything complicated or fancy. So there you have it, my two fave throw together vegan meals. I may make a “cookbook” after all!!! Every time I hear an interview with a “raw vegan” something inside of me stirs. It is super appealing to me, but I have no idea why. 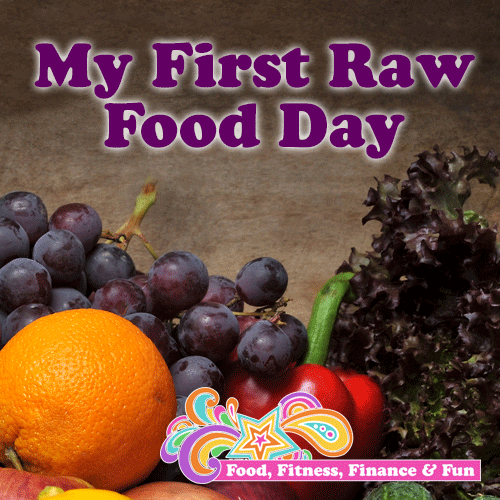 I don’t like to spend a lot of time or money on food and it always seemed like eating raw would be complicated, expensive, and time consuming. Plus, I travel all the time and it seems pretty high maintenance on the road. But over the past few months, the raw thing has been more and more on my mind. I’ve been collecting articles, blog posts, and recipes to prepare. And then last night I decided to take a leap and go for ONE DAY RAW!! I wasn’t prepared at all as far as groceries and meal plan go as of 10 pm when I made my decision, so I sat down and wrote out a plan for the day, set my alarm an hour earlier, and fell into a deep restful sleep with dreams of kale and bananas in my head. Grocery shopping was a bit more stressful than usual. First of all I am usually still sleeping at 7 am so I was confused, second of all I had things on my list that I had never bought before so I didn’t know where to look, and third of all I was hungry. I usually eat right when I wake up, but I didn’t have any fruit or veggies or anything legal on hand. My plan was to mostly get fruits, veggies, and raw nuts since those were already foods I understood. But I did find a recipe I was going to make for lunch which had a couple ingredients I had never used. I started getting antsy at the store when my 30 minute shopping trip was already up to 45 minutes. I was also a little anxious because I was going to do a long swim and wasn’t sure what I was going to drink during it. I usually drink a protein shake immediately before and then some type of electrolyte drink during. I did buy some raw protein powder at the store, but didn’t have my shaker cup AND don’t always love all shake mixes with plain water. I ended up buying some raw coconut water and a raw cold pressed juice blend for the swim. I also got sucked into buying some raw snacky foods like Kale Chips, Flackers (huh? ), and a few raw food bars out of fear of not having something on hand in case I am stranded in my car for days nowhere near a health food store. I know…I have issues! Anyway…the trip to Sprouts ended up being extremely expensive. $196.00. And took me over an hour. I broke down my receipt and $53.00 was spent on food I ate today (yikes), $32.50 was food for the next couple days, and the remaining $110.50 was more raw stuff for next week (I forgot to mention I’m going to eat raw every Monday) like raw nuts, seeds, protein powder, snacks, etc. During swim: Raw Coconut Water ($5.50…YIKES! And I still don’t like the taste, I have tried so many! I chugged it down between sets for the nutrients and calories) and a delicious cold pressed raw drink with lemon, lime, kale, spinach, cucumber and such ($4.50…way yummier than the coconut water). After swim: Grapes ($4.00…worth it…always LOVE me some grapes). Lunch: Pad Thai ($10.75). Here’s where it got interesting. The store didn’t have 3 of the ingredients from the recipe I found so when I got home I found 2 others that were similar, but still didn’t have all the ingredients for either one, so I did a combo recipe thing that turned out DELICIOUS!!! It was AMAZING! My sister and 10 year old niece, neither usually like my crazy made up meals, loved it and even asked for multiple bites! SUCCESS!! Only problem was I was WAY too full by the time I finished it and wasn’t even hungry for the salad I made for dinner 6 hours later. So all in all I had a great experience for my first attempt. I for sure over ate today, but it was my first day ever of all raw and I was a little consumed with it, so I forgive myself. It’s like an experiment and every Monday will get easier and easier as I fine tune my Mondays. And who knows, it may turn into a Monday, Wednesday, Friday thing!! 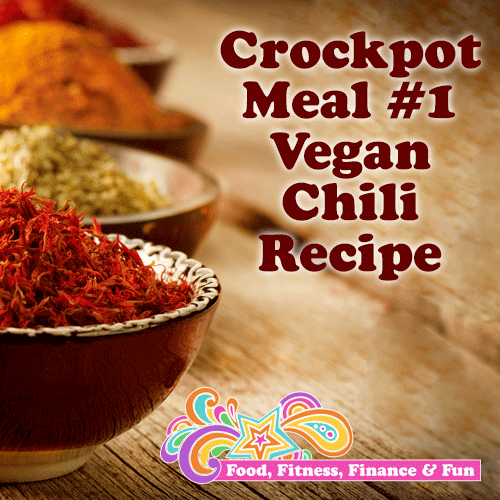 How to make amazingly delicious Vegan Chili in your crockpot. Check out this Vegan Chili recipe including costs and ingredients. Put half of each type of bean in the crock pot and added onion mix, can of diced tomatoes, an extra can of water, and spices and stirred it together. The thing that took me the longest was digging out the crock pot! Poor fellow hasn’t been used in years!! Monday 7pm: I got home and was TOO hungry to make our quinoa so I had a packet of Microwaveable Brown Rice so 90 seconds later dinner was served. BOO! Not ready! Beans were still hard-ish, I’ll try again tomorrow. Tuesday 7pm: UGH! This was silly for me to start this journey during the Summer. It’s hot out and the thought of eating chili doesn’t even sound good! Oh well…I’ll do it anyway! Making Quinoa…this took 25 mins with boiling and cooking, but I made the entire box which will last all week! My Taste Test…DELICIOUS!! It is SOOOO good. Even had seconds! I like it with the quinoa WAY better. I’ll give you my hubby’s opinion when he gets home. I’m too impatient to wait for him…Hubby’s Taste Test…He LOVED it…had it 3 dinners in a row. He gave it a 7 out of 10. That is a HUGE success in my book! Oh…and BTW…he doesn’t lie to make me feel better. He has told me numerous times how crappy my cooking is ! !